Click the links below to view answers. A medical group is a group of doctors, nurses, specialists, and other professionals dedicated to patient healthcare. Medical groups work with health plans to coordinate both care and coverage for each individual. The job of a health plan and it’s contracted medical group can vary depending upon the type of health plan. For instance, in a PPO plan, the doctor and medical group’s main responsibility is to care for patients at the time of the appointment; the patient is responsible for coordinating care. In an HMO plan, the doctor and medical group often have a bigger job than just providing immediate patient care; with an HMO, they are pro-actively working to improve the patient’s overall health – including steps to avoid future health problems; this is called preventive care. How does an HMO work? HMO stands for Health Maintenance Organization and is a type of health insurance. An HMO offers many healthcare services to its members. HMOs are sometimes called health plans or managed care organizations. HMOs are different from other kinds of health insurance in the way that they manage the cost of healthcare and the services offered. Members may have a co-pay for services, which the patient needs to pay before services are covered by the plan. Co-payments and deductibles help keep the cost of healthcare down. HMOs may require referrals for some services before the HMO will pay. At HDMG members visit their Primary Care Provider who will determine if a referral is necessary and submits the referral for approval. It is recommended to obtain a referral to avoid financial responsibility for unauthorized services. A Medicare Advantage Plan is a type of Medicare health plan offered by a private company that contracts with Medicare (a government plan) to provide you with all your benefits (Part A and in most cases, Part B). Medicare Advantage Plans include Health Maintenance Organizations (HMO), Preferred Provider Organizations (PPO), Private Fee-for-Service Plans, Special Needs Plans, and Medicare Medical Savings Account Plans. If you’re enrolled in a Medicare Advantage Plan, Medicare services are covered through the plan and are not paid for by Medicare. Most Medicare Advantage Plans offer prescription drug coverage. If your Primary Care Physician determines that you need to be seen by a Specialist or need durable medical equipment, he/she will submit a referral to HDMG’s Utilization Management Department. The Utilization Management committee will review the referral by applying established criteria, determine medical necessity, and ensure that any tests needed have been completed. If your physician requests an urgent referral, it will be processed within 72 hours. For non-urgent requests, you will be notified of the determination within seven business days. If the referral is modified, you will be notified of the modification, along with further information and instructions. If the referral is denied, notification will be mailed to you, along with the appeal process. You have the right to appeal a denied or modified referral; you may begin your appeal by contacting your insurance company. Your Primary Care Physician will be notified of the status of your referral also. How do I follow up on a referral if it has been longer than the allotted time? If you have not been notified regarding the status of your referral within seven business days, please contact your Primary Care Physician. May I change my Primary Care Physician at any time? Yes, simply contact your insurance company, and they will instruct you on their policy for changing your Primary Care Physician. Once the change is made, your insurance company will give you the effective date of your change. Should you need to see your new Primary Care Physician prior to the effective date, please contact HDMG’s Member Services Department at: (800) 266-4364, as they may be able to assist you. How does my new physician obtain a copy of my medical records? You will need to complete and sign a Medical Record Release form. You may obtain the form at either High Desert Medical Group or at your previous physician’s office. Once the form is completed, your medical records will be sent to your new physician’s office or group. How do I access my medical records as an HDMG patient? 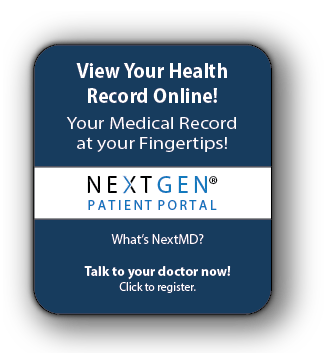 As an HDMG patient, you may enroll in our online service “NextGen Patient Portal”. This website provides patients with an easy-to-use internet portal to communicate with your physician, request appointments, request a prescription refill and more. The Patient Portal is secure, confidential, and gives you 24-hour access to your medical records. What if I am sick and I am not able to schedule a same day appointment with my Primary Care Physician or it is after office hours? Should you need care after hours, weekends, or holidays, we offer a 24-Hour Urgent Care Center, open 365 days a year, located at: 43839 N. 15th Street West, Suite 108, Lancaster, CA, 93534. For the convenience of our senior patients, HDMG also offers a Geriatric Emergent Care Center open Monday through Friday, 8:30am-5:00pm. This Geriatric Emergent Care Center is located at: 43839 N. 15th Street West, Suite 101, Lancaster, CA, 93534. What is the difference between using an Urgent Care or Emergency Room? There are many benefits to visiting an Urgent Care instead of an Emergency Room, including lower co-payments (depending on your health insurance), shorter wait times, and notification to your HDMG Primary Care Physician. However, please be sure to call 911, if you are experiencing a life or organ threatening emergency. * We offer a 24-Hour Urgent Care Center at our Lancaster facility. Who can I call should I have additional questions and/or concerns about my healthcare? High Desert Medical Group’s Member Services Department is composed of sensitive and compassionate representatives who are dedicated to total patient satisfaction. Our friendly and knowledgeable staff can assist you with any concerns or questions you may have, including selecting a Primary Care Physician, scheduling an appointment, and helping you understand your healthcare plan. Our team of patient service experts work very closely with our physicians and their staff to ensure that your overall medical care is to the highest standards. We also have bilingual, Spanish-speaking personnel available. HDMG’s Member Services Department can be reached at: (661) 945-5984. Their hours of operation are: Monday – Friday, 8:00 a.m. to 5:00 p.m. and is located at: 43839 N. 15th Street West Suite 201, Lancaster, CA. 93534.